Asath Reon is the latest artist to join Black Mara Records. 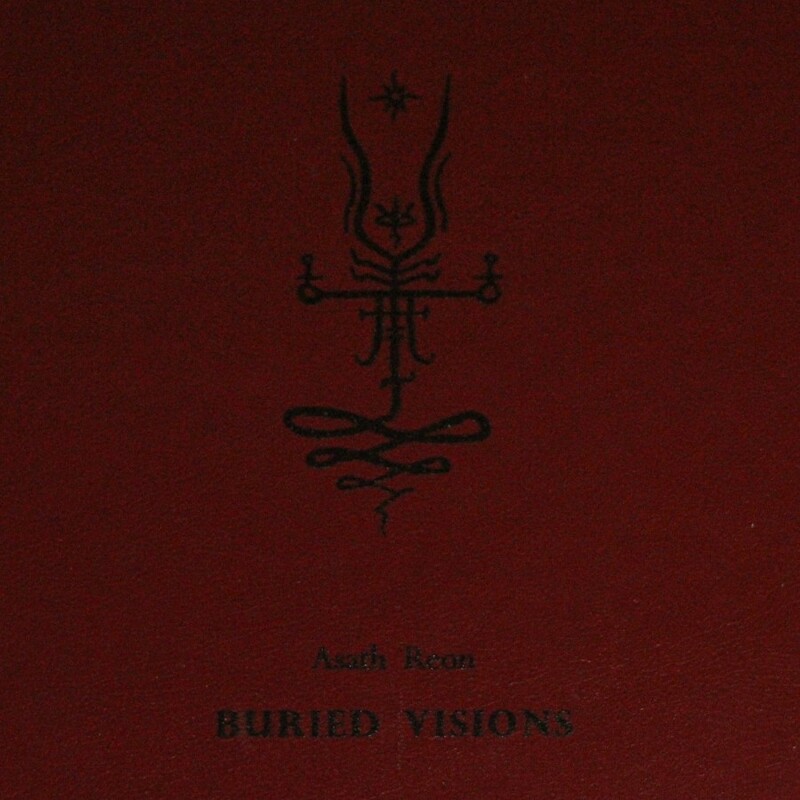 I’ve been following the progress of Michal Polgar, the man behind Asath Reon for several years now, and we’ve become friends over the process of many chats about dark ambient and related topics. Michal and Black Mara Records allowed This Is Darkness to publish an exclusive premiere of one track, “The Damned” from the upcoming album Buried Visions which is set to release on 10 August 2017. I also decided to take this opportunity to pick Michal’s brain and give readers a bit of background on the music, the man and the message behind Asath Reon. I hope you will all enjoy! Michael: Congratulations on the upcoming release on Black Mara. This looks like a pretty impressive debut. Are you happy with everything leading up to the release? Asath Reon: Thank you Michael, I’m glad you have such a positive view on the release. Of course, I’m really happy about it. There were no difficulties or negatives in the creation process and I enjoyed working on it. Michael: How would you classify the sounds of Asath Reon? Asath Reon: Well, this is quite hard question. This music in general is characterized by most people as meditative, ritualistic, spiritual, or even ominous. But about the sounds its a bit different. The intention is to highlight the ritual instruments and their sounds. Classification of this is complicated, because their scale of use and their effects on the human psyché and beyond is very wide. Michael: How long have you been into ritual/dark ambient music? Asath Reon: I have been in this kind of music since 2013. Michael: Is this your first endeavor as a dark/ritual ambient artist? Asath Reon: No it´s not. When I discovered dark ambient music, I felt this is something more than music. I wanted to participate in it, because I knew there is a sea of feelings and thoughts to express. 2013 was the beginning, I had no project yet, just a few songs I put on Youtube. Then after that, a new project was born, named Morvranh. It was my first project, and in 2014 since there was support from many people who liked it, I continued to create music. Also, 2014 brought my first physical release, under the wings of Forest Path Records. Then there was a second project we were working on with Ruairi O´Baoighill named Order of the Black Dawn. This project had a physical release on the Noctivagant label. It was a pleasure to get in touch with people from various labels and also artists. Every person gave me inspiration and we were working on something very important for us, we were able to influence each other. I’m really glad for all of these experiences and the things we share. After all of this I realized that ritual ambient is something I really want to do, because it can evoke the deepest messages. That’s why Asath Reon was created. And I have to say, the approach to Asath Reon is much different from these other projects. My music-creation process has improved since 2013 and that’s why I can focus on recordings of, lets say “ritualistic” experiences, the things going on are much more complex. This word, ritualistic, is just an idea. With my improved skills in music-creation, I am able to produce sounds that can give a whole new concept to the songs. Michael: What sorts of hardware was used in the creation of Buried Visions? Asath Reon: There are a lot of instruments. I used two of my kangling trumpets, singing bowls in combination with bowed singing bowls, percussions, drums, chimes, mouth harp, other metallic objects, conch shell, vajra-shaped bell and more. As for the hardware, I used IC recorder with a studio microphone connected with two adapters, my laptop with DAW, keyboard, lots of plugins and of course my voice. Michael: How long have you been working on Buried Visions? Asath Reon: I started to work on it in 2016. But the concept was in my head earlier than this. The idea and specific way of expression of the whole project were things that needed to be here before the actual recording process could begin. Michael: Is there a particular meaning behind the name Asath Reon? Asath Reon: Yes, but it´s very subjective and has a deep meaning only to a very small, secret group of people in my country. Michael: Do you expect future releases to follow the format of this album? Or, do you think that you will move into new territory for your next release? Asath Reon: I’m glad for this question. I have to say, that for releasing this album with its whole idea and concept, working with the Black Mara label was simply the best decision. After Dmitrij, from Black Mara Records, asked me about it, I knew this would be the best suited home for the Asath Reon project. It was not because of how nicely Black Mara are doing their physical releases. It was about the treatment of ideas, the way of approach to the mentioned concepts, eye for art and what would be the best solution for the variety of aspects during the whole releasing process. 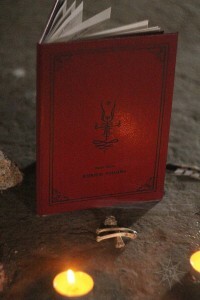 Michael: Can you explain a little bit about the physical release, as it comes with a handmade book? 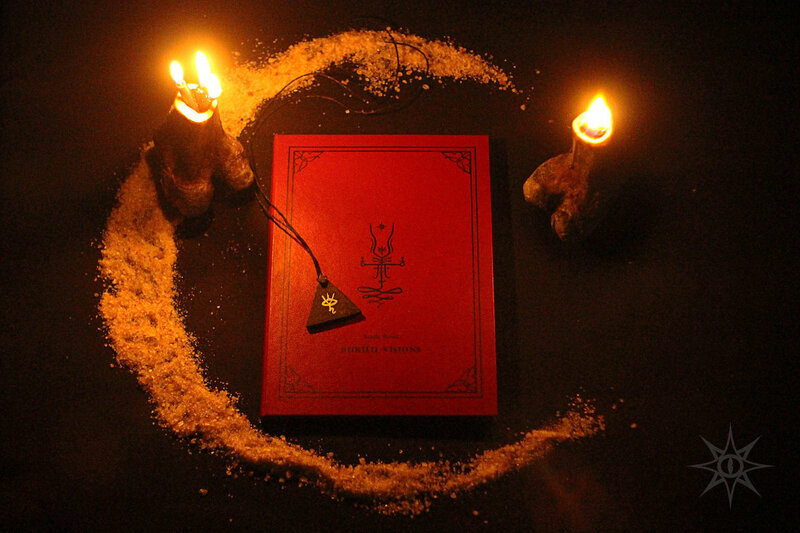 Asath Reon: The album comes with a booklet of photos which I made, and a pendant with the eye used in the symbol of Asath Reon. All of the photos are thematically on one wave. They depict ritual objects, places, and archaeological finds along with a combination of old cultish ideas, funerary rites, and necromancy. That’s what the project is about. The photos give a better idea of the topic and the music. With the photos you can hear the music deeper and with the music you can see the meanings of the pictures. Michael: How has your experience been so far working with Black Mara? Asath Reon: I wish I could thank Dmitrij and all the Black Mara family enough for supporting the project. The road to release from the beginning of the Asath Reon idea was accompanied by many conversations with Dmitrij, who has always been very pleasant and helpful. I’m really happy about it and we are still in contact and have become good friends. We have the same perceptions of art, music and many other things. He and Black Mara are doing a wonderful job, and as I said in a previous question, all of the positive attributes should be known in the wide spectrum of music and ideas they are giving to people. Michael: Do you have any musical influences that have had an impact on Asath Reon? Asath Reon: Of course. There were plenty of artists and projects I used to listen and influenced me in thinking. I would mention Jindøich Spilka from Druhá Smrt, Endvra, Funerary Call, the Aural Hypnox label, Kammarheit, Metgumbnerbone, Vidna Obmana, and many many others. Michael: What is the perfect environment for listeners to enjoy your music, alone in the dark, during meditation, etc.? Asath Reon: This is very subjective, but worth trying at least one time is in the woods, or in a calm enviroment at night, in a calm state of mind, with concentration and with a good set of headphones. Michael: Are there any rituals you perform in preparation for creating music? Such as burning incense, meditation, intoxication, invoking a god, etc. Asath Reon: Yes. Most of the sounds were recorded whilst I was performing a ritual. 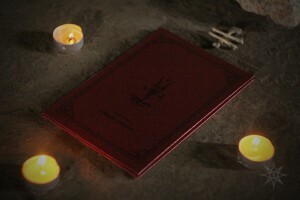 Mostly it was recorded in the woods, on the place you can see on the picture in the booklet, or in the video teaser. 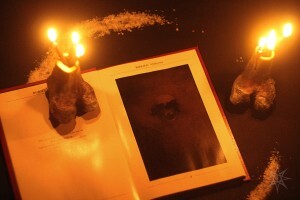 I also use incense, and create in a dark environment, mostly at night, when I’m ready to compile the recordings. There are also several natural entheogenics involved in the rituals, but they are used occasionally, because of everything that they can tell and everything that needs to be ripened in the head. That’s why they are only used occasionally and during these times I can’t record anything and I have to be in a “clear environment” to understand the meanings. These kind of rituals produce much more than mere recordings. Michael: Thanks for your time, I will leave the final words to you! Asath Reon: Thank you too Michael. It was a pleasure and I wish good vibes for you and for all the readers.